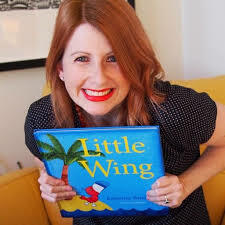 Author illustrator, Katherine Battersby has flown many miles in recent times, a bit like her latest picture book character, Little Wing. 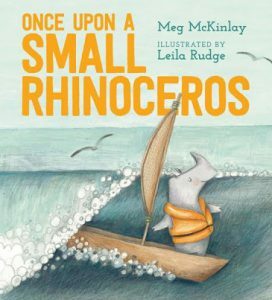 Little Wing catapults the connotation of taking a leap of faith into glowing picture book form that is a pure delight to read. Little Wing is the smartest animal in the world. 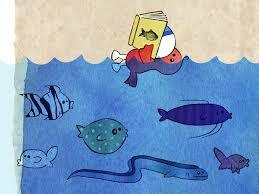 He owes his genius to good old-fashioned book learning, that is to say, he reads – a lot. Nearly everything he knows is attributed to the days he spends between the pages of dozens of books bequeathed to his island home by providence. It appears a satisfying way to spend his days; I mean who hasn’t dreamed of reading under swaying palm trees on a sun soaked faraway island as a full time occupation! I’d call that heaven but for Little Wing whose aspirations and yearnings clearly outclass mine, ‘something was always missing.’ So, he sets out to find it. 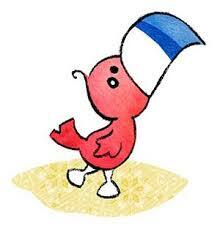 Turns out, it’s Little Wing’s sense of self that is absent and no matter how many books or alter egos he assumes, none of them provide the right answer, the perfect fit. Until one radiant morning, realisation dawns and Little Wing’s life transforms forever. His social circles are greatly enhanced, as well. 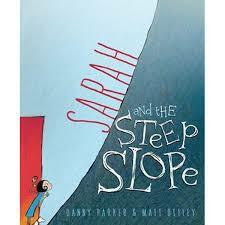 The wait for Battersby’s next picture book has been well worth it. Little Wing exudes all the warmth, charm and wit of her debut picture book character, Squish Rabbit whilst introducing fans and new readers to a wonderfully new winsome critter. He is difficult not to love with his little wings and clacky big blue bit (aka his beak). However, what makes Little Wing universally appealing to young and old is his quiet and unquestioning fortitude. Even when faced with one of life’s most prominent and niggling questions: who am I and why am I here? Little Wing diligently pursues the answer until the answer literally flies right over him. His tenacity tells young people that being one thing is fine but if you want to try other things, new things, then that’s okay too; you just need to be brave enough to pursue your dreams, to make that first leap into the unknown. Youngsters are no strangers to change. In fact the leaps in their young lives are almost always forced and without negotiation: going to school, moving home, surviving decaying family situations, growing up…So it won’t be hard for them to accept Little Wing as someone they can emulate and learn from. Little Wing is likely to resonate with adults just as strongly. We all want to learn to fly. How many of us really have the courage to look deep within ourselves, take that first big breath, and then, move forward, though? It’s a daunting prospect but like Battersby herself, Little Wing does it with admirable aplomb. Battersby’s accompanying artwork for this story is nothing short of fabulous. Bland bookish concepts are captured in bold watercolour and pencil illustrations intoxicatingly combined with fabrics, textiles and scanned vintage books. The resultant collage effect is a cocktail of fun and colour. I love it! 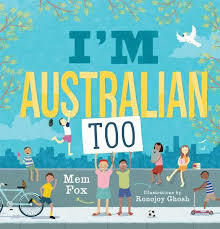 So does my Miss 10 who spent many joyful moments with me feverishly examining the end pages in an effort to match feather to friend. Little Wing is a picture book experience that sings on many levels but most importantly gives children license to extend themselves and follow their most ardent callings in order to reach true happiness. Little Wing is available now, here. 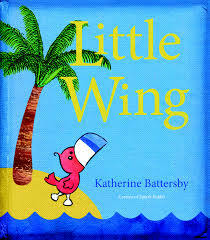 For those fortunate enough to live in SE Queensland, Katherine Battersby is touring a number of local schools, accompanying Little Wing as he explores his new home. 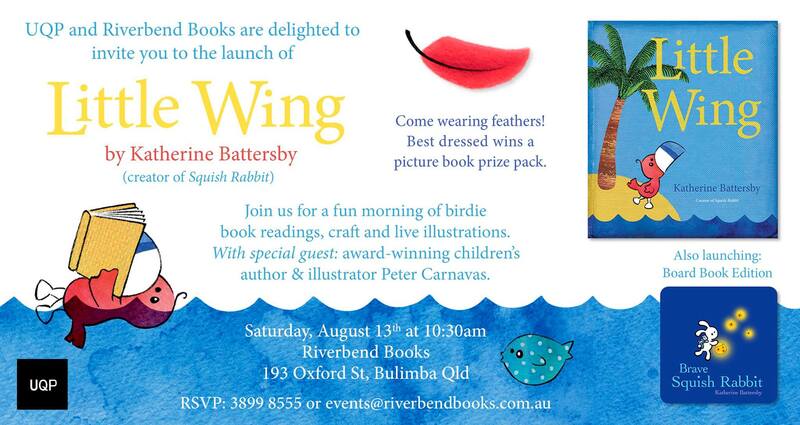 Little Wing is officially taking off this Saturday August 13th at Riverbend Books in Bulimba, Queensland. 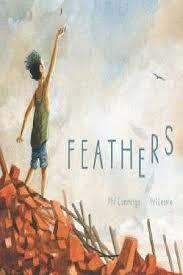 Join Katherine, Little Wing, and special guest, Peter Carnavas from 10.30 am for lots of fun and feathers.